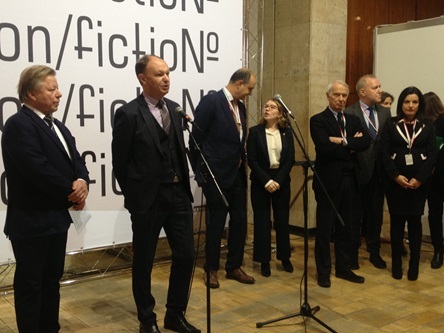 “Non/Fictio№”, officially calledthe International Book Fair for High-Quality Fiction and Non-Fiction, which marks its 20th anniversary, kicked off in Moscow’s Central House of Artists. Five-day book marathon is held from 28 November through 2 December 2018 under the patronage of the Federal Agency for Publishing and Mass Communications. Traditionally the fair spotlights one country as a special guest, and this year Italy is the Country of Honour for the first time in the fair’s history. 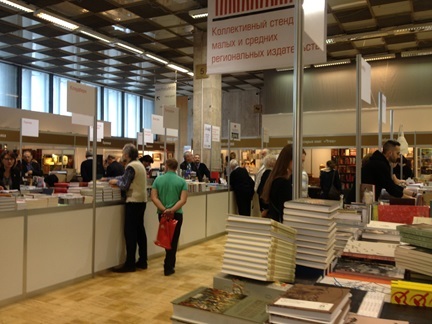 Despite the fact that “non/fictio№” is relatively young compared to such industry giants as Frankfurt and London Book Fairs, it has clearly defined its role and position in the international publishing industry and Russian intellectual environment. 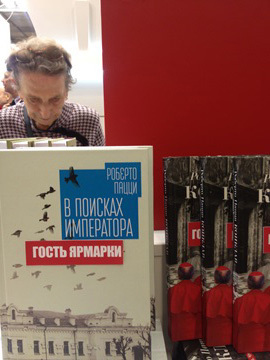 The fair serves not so much as a marketplace to negotiate copyrights and sign agreements, but to implement the fair’s general mission – keep an equilibrium between big Russian publishing companies and independent publishers as well as to demonstrate a variety of publishing products to the general public. Participating in the fair are some 300 big and small publishing houses, book-selling companies and cultural institutions from 24 countries. Unlike professionals who see the fair as a platform for communication, discussion, brainstorming and generating new technological solutions, general public is mostly interested in the cultural programme that amounts to some 400 events including readings, presentations, performances, seminars, signing sessions and round table talks that take place at eight venues and also at the publishers’ stands. Every year the fair has introduced some changes that are especially evident to regular visitors: some new participants, some new themes, award ceremonies of the literary prises and contests. This year is no exception. Approximately 38 small publishers display their new books at the pavilion of the non-commercial partnership Alliance of Independent Publishers and Booksellers, a private non-profit initiative aimed at development of an overall strategy, strengthening horizontal relations, and lobbying the common interests in state institutions, big business and society. The Alliance unites book organizations from Vladivostok, Vologda, Yekaterinburg, Izhevsk, Kazan, Moscow, Novosibirsk, Orenburg, St Petersburg, and Tver. Their participation in the non/fictio№20 has been financially supported by the Federal Agency for Publishing and Mass Communications. One other trend of this year is a higher presence of the, so called, small press publishing, a phenomenon born out from a network activity, the introduction of digital printing, especially print on demand technology. 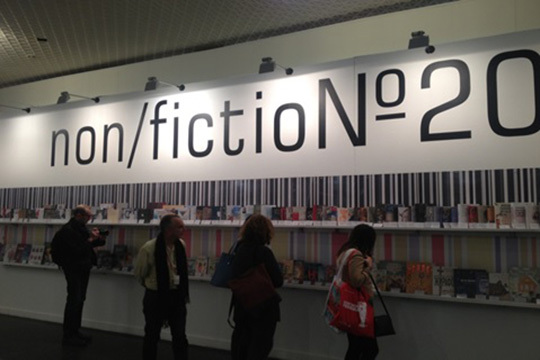 Some of such projects are to be found at the stand of the Alliance of Independent Publishers, others – in the Slow Books section. Perm-based Hyle press is a perfect example of such format: two founders are the only editorial members, who publish the latest and most challenging books on modern philosophy. 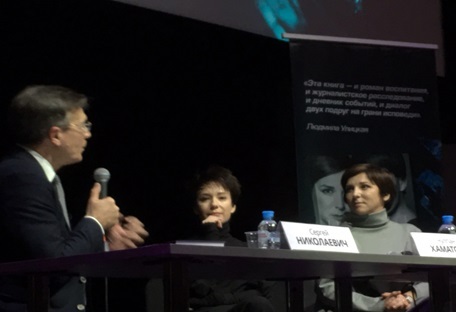 The program includes a plethora of events such as meetings, presentations, round tables discussions, signing sessions with well-known Russian and foreign writers, poets, playwrights, book-illustrators, translators, literary critics, scholars, film-makers, travellers, and public figures - Alexander Sergei Choban, Igor Shelkovsky, Dmitry Shparo, Matvei Shparo, Ekaterina Shulman, Galina Yuzefovich, Elena Yakovich, Evgeny Yamburg, Guzel Yakhina, and other famous authors. 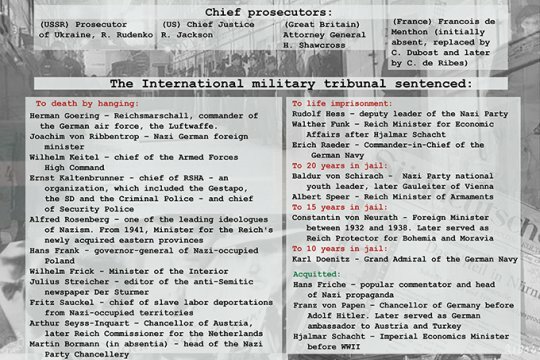 The list of foreign guests includes writers Philip Claudel and Antoine Loraine (France), publishers Jan Wenzel, Markus Dressen, and Philipp Meuser (Germany); political scientist William Taubman, winner of the Pulitzer Prize (USA) and historian Alpo Juntunen (Finland) to name a few. Extensive programs have also been prepared by Latvia, Lithuania, and Estonia. They joined forces to present “Baltic Day in Literary Café”. But the focus of the foreign program of events at non/fictio№20 will be presentations of sixteen famous Italian authors as well as publishing professionals and officials from the Italian and Russian side. A special programme organized at the initiative of the Book and Reading Centre was developed in cooperation with the Embassy of Italy in the Russian Federation and curated by the Italian Cultural Institute, the organization that promotes cooperation in the field of education and culture between Italy and other countries, including Russia. Italy is represented at many levels which first of all proves multiple and productive cooperation between Italy and Russia and a huge interest to this country on behalf of the general public and professional community. Opening the book forum Mikhail Seslavinsky, Head of the Federal Agency for Press and Mass Communications said that despite Italy's first time participating in the fair as the guest of honour, Russian- Italian relations date back to the 15th century which fully explains the popularity of Italian culture in our country. ” We’ve put a lot of efforts to Italy’s representation at this important international book forum. 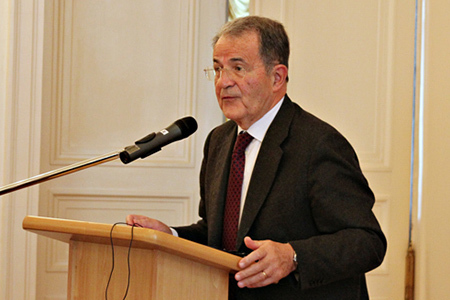 We were greatly pleased that here in Russia Italy is so well-known and loved that people often read Italian books in the original language”, Guido De Sanctis, Minister- Counsellor of the Embassy of Italy in Moscow said at the inauguration ceremony. The events prepared by the Italian side have been united under the heading “Italian Prospect” which is supposed to evoke associations with the main transport arteries of the two Russian capitals and which pays tribute to the Italian artistic tradition, also hinting at the use of perspective in painting. According to the rules all Russian participant are to be approved by the fair’s Expert Council, but the Country of Honour enjoys a different procedure. Italian partners were granted the full right to represent their country as they wish without any limitations. Pop and everyday Italian culture is one of the most popular in the world, and besides readings, literary discussions and meetings with writers, visitors will be able to taste some wine and Italian food, to get a feel of a trash culture and so on. The business area is the venue for meetings of publishing professionals from the two countries where 29 Italian publishers participate. 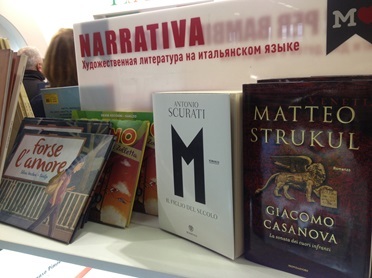 The book section, organized by the Moskva Bookshop, carries some 2,000 titles, both in Italian and in Russian translation, offered for sale for the visitors of the book fair. 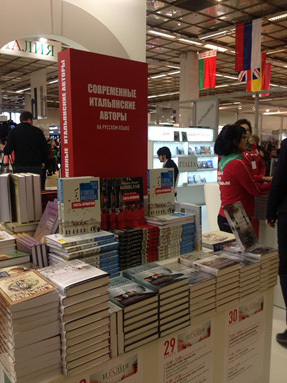 A special section of the bookshop has been set aside for books by the Italian authors invited to the book fair. Numerous award-winning contemporary Italian writers, including Roberto Pazzi, Antonia Klugmann, Edoardo Nesi, Sandra Petrignani, Helena Janeczek, Francesco Piccolo, Sandrone Dazieri, and Rosella Postorino will present new books and participate in seminars at the fair. The Italian main program is supplemented by two exhibitions: the photo-reportage “Where can we find Elena Ferrante. Regional Aspects in world literature”, comprising 40 photographs by Ottavio Selitti who takes the viewer around the main locations mentioned in Elena Ferrante’s tetralogy L’amica geniale which is set in Naples. The exhibition “Children’s Book Illustration. The Best Italian Samples” consisting of 60 original works by 18 most talented and best-known Italian illustrators of children’s books. 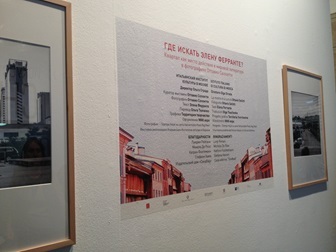 Both photo shows were organized by the Italian Cultural Institute jointly with the Bologna Fiere and with cooperation of the Russian State Children’s Library. 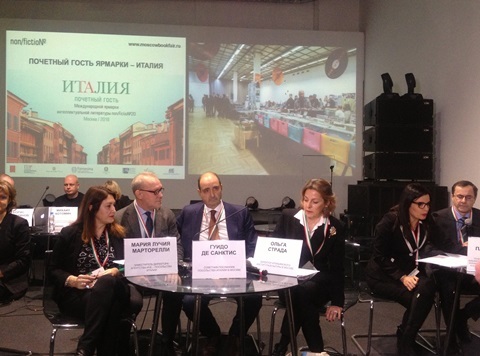 It was announced that the fair will be changing its venue and the next issue of “Non/Fictio№” will be held in Manezh Central Exhibition Hall in the end of November - beginning of December 2019. 764: 30 seconds to mars. “Non/Fictio№” Celebrates its 20th Anniversary in “Italian Style”29 November 2018: “Non/Fictio№” Celebrates its 20th Anniversary in “Italian Style”! лучшие комедии. “Non/Fictio№” Celebrates its 20th Anniversary in “Italian Style”.